Today, april 11th, the trucks of the Life project 'Life ‘N Grab Hy!’ are proudly presented in Brabant (Nl) by the partners of the project. Baetsen Group (Nl) and Cure Afvalbeheer (Nl) will be collecting garbage with a hydrogen-powered collection vehicle in the Eindhoven region. On april 11th the trucks were officially inaugurated in the presence of the aldermen for sustainability of the Eindhoven Metropolitan Area. This demonstration is the first in a series of 10 demonstrations in European cities. Baetsen-Groep and Cure waste management invested in these innovative and zero-emission vehicles. The vehicles were built by E-trucks Europe (BE), with support of Hydrogenics. The trucks are Europe’s first garbage trucks on hydrogen with licence plate.The presentation of the trucks is a new milestone in the Life ‘N Grab Hy project! The build of the Baetsen truck is completed and the operational testing is ongoing. On the 22nd of October, this truck was fuelled for the first time at the WaterstofNet refuelling station. A full tank took 15 minutes to fill. The build of the Cure truck is also almost completed and the vehicle will be update with the gathered data from the test cycles, performed by the Baetsen truck. The next and final step for the full homologation, to receive a EU-aproval for a license plate, is an EMC test. This test is planned for December. After the test has been passed, both vehicles will receive their license-plates and are ready for operation at both end-users. On the 6th and 7th of June the LIFE ‘N Grab HY! consortium welcomed EASME and the NEEMO project monitor for their monitoring visit. During these 2 days all partners were present and the end-users locations were visited. The project team presented the progress of the project and showcased one of the working trucks. One of the project’s achievements is the growing demand for these trucks, hence the partner E-Trucks Europe will enlarge its production facilities to cope with the large amount of orders. The group also visited one of the adapted workshops, to safely work on hydrogen vehicles. The project is now awaiting the homologation process to receive the licenseplates. 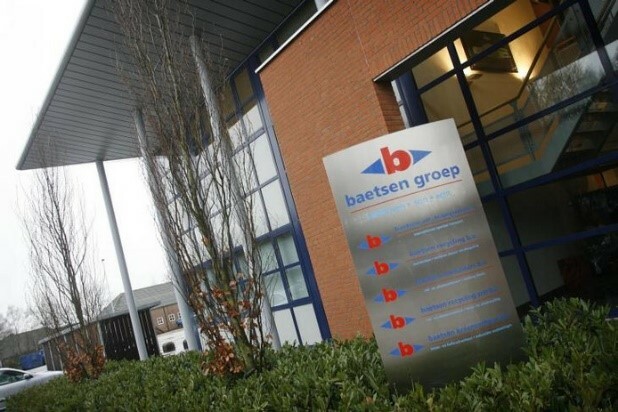 Another milestone of the project has been reached: The workshops of Baetsen in Veldhoven and the maintenance facility of the DAF dealer “De Burgh” in Eindhoven are adapted to work on heavy duty hydrogen vehicles. These are the first heavy duty workshops adapted to hydrogen in the Netherlands. The adaptations are part of the ‘Life and Grab Hy project’, financed by the EU Life programme. After a close collaboration (on the necessary adaptations and procedures) with the fire department and after receiving the environmental permit, the physical adaptations were executed. Everything went smoothly. On the 22nd of April, the LIFE N’ Grab HY! project showcased the Baetsen hydrogen electric hybrid truck at the “Day of the Logistics” in Eindhoven. The vehicle, parked at the entrance of the event received a lot of attention. About 3000 people visited the event and a portion of this also visited the truck, where they received a project leaflet and additional information about the project, the status and the technology incorporated in the truck. The day of the logistics is a yearly event, showcasing all facets of logistics and transport. Due to the fact customer needs are changing and more and more attention is going to green and zero-emission solutions. Green mobility and waste collection was highlighted. The visitors expressed a lot of interest in the hydrogen technology and the Life project. The 21st EU forum on Eco-Innovation, which took place on the 5th and 6th of February, aims to mobilise business, the public sector and non-governmental organisations to develop and deploy new innovative solutions to improve air quality in Europe. During the forum several organisations were able to present their projects in different sessions. Among them, the coordinating beneficiary WaterstofNet, presented the LIFE 'N Grab HY! -project during the session on "Transport and air quality conversations". In this interactive session, Stefan Neis presented the development of the hydrogen electric hybrid refuse collection vehicles and how they contribute to the reduction of air pollution originating from energy use. The deployment of the two trucks at the planned 10 demonstration locations was also highlighted. On thursday November 23th WaterstofNet presented the LIFE 'N Grab HY!-project at the yearly NVRD regional member meeting at the Automotive Campus in Helmond (Netherlands). The 90 attendees were very enthousiastic about the goals and milestones of the project. On tuesday November 21th the hydrogen storage tanks from Luxfer in Nottingham (UK) have been delivered to E-Trucks in Belgium. Now the next step of the conversion to a hydrogen hybrid electric truck can start for the Baetsen truck. This step includes the integration of the fuel cell, the installation of the piping, cables and the tanks on top of the garbage press module. The Baetsen hydrogen hybrid garbage truck, realised within the Life 'N Grab HY! project, is put on display at the Dutch Eco-Mobiel exhibition (10-12 October 2017).